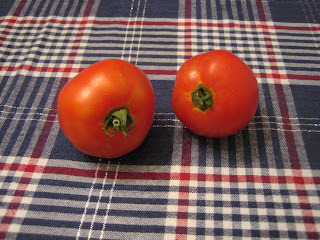 Please say hello to our first harvest from our tomato plants!!!!! Aren't these two absolute beauties! I made some bruschetta with them and oh man were they tasty. Well, that's one way to celebrate.